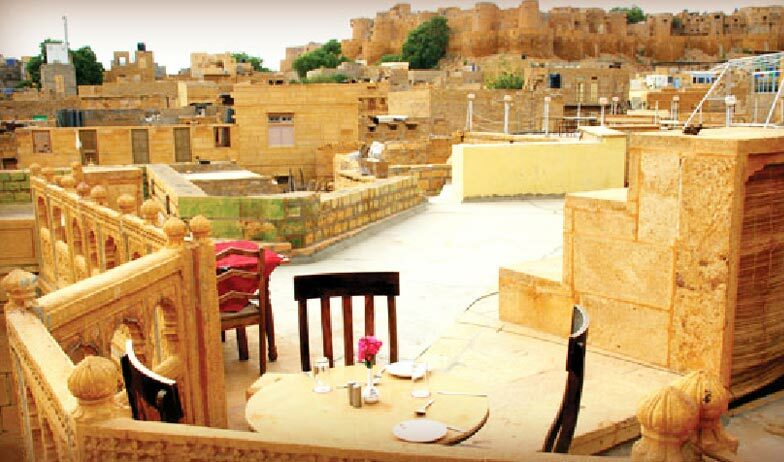 Situated in the picturesque city of Jaisalmer, Nachana Haveli is actually a royal palace turned into a hotel. 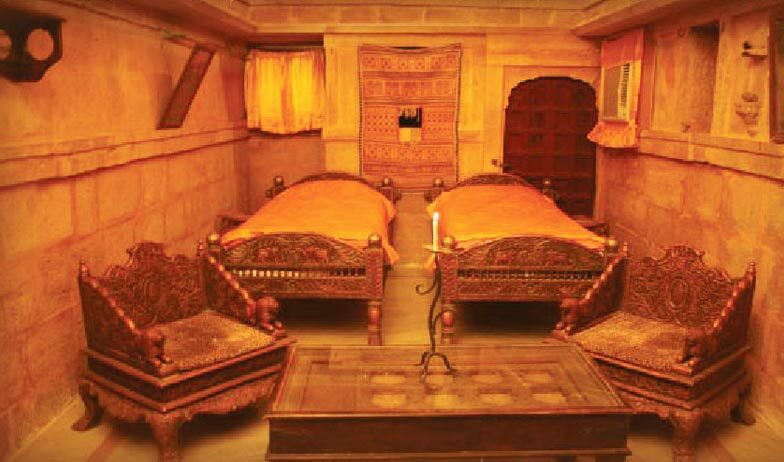 This heritage hotel, beautifully chiseled in yellow sandstone is the perfect place to stay in if you wish to witness the culture of Rajasthan in royal style. 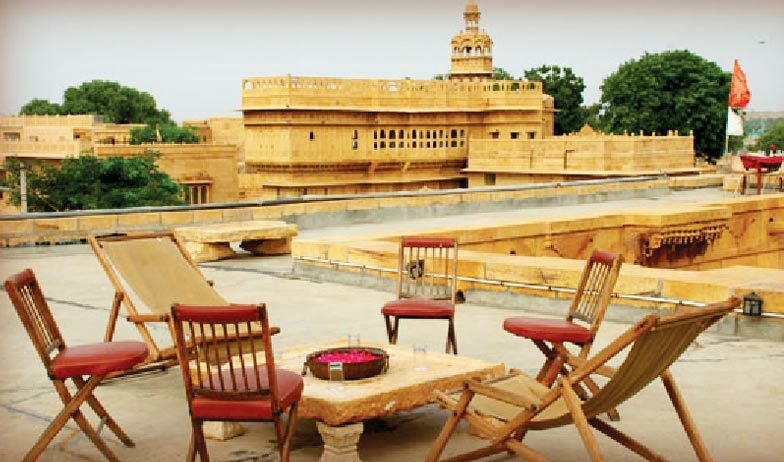 With the Maharaja’s palace and the Jaisalmer Fort less than a kilometer away it is the perfect scenic place for lodging what with helpful staff more than eager to treat you like visiting royalty. 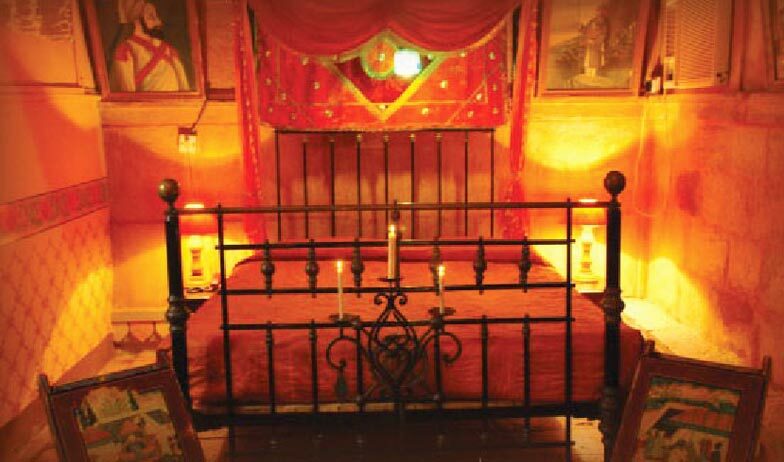 Providing beautifully decorated spacious rooms, free Wi-Fi and a rooftop restaurant, this hotel will give you the ultimate royal experience. 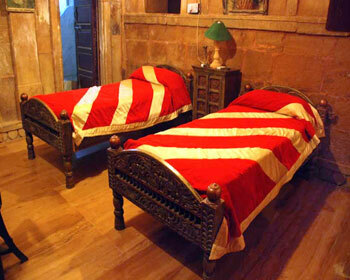 The hotel offers twelve deluxe rooms with all of them named after the members of the royal family. 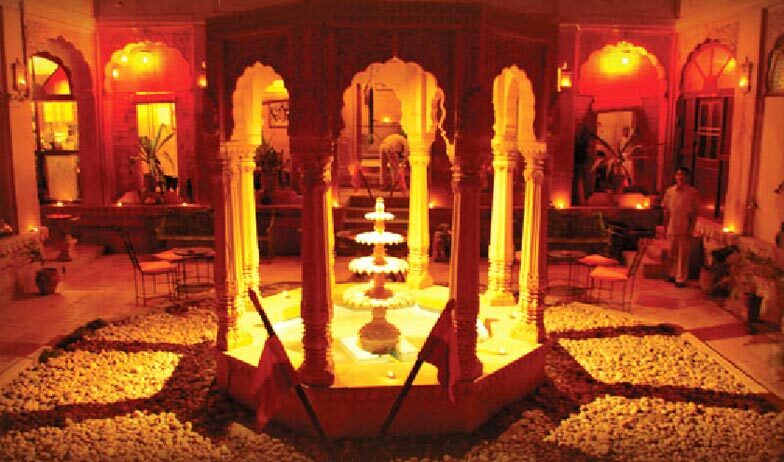 Each room opens up into the courtyard where the guests can sit around and enjoy the landscaped gardens and fountains. 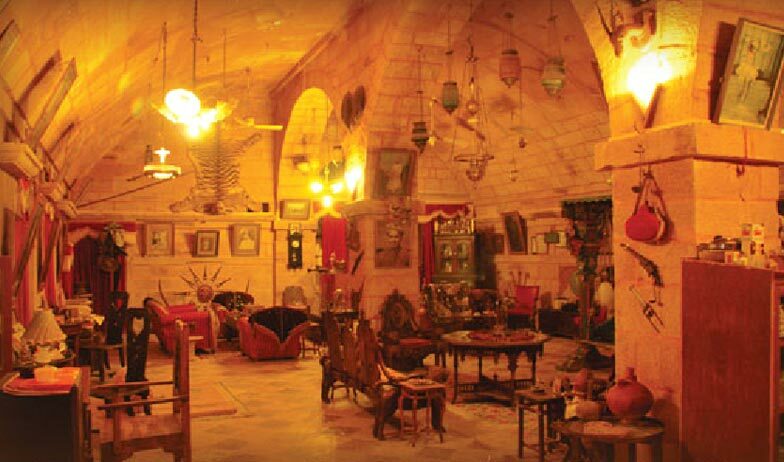 The rooms itself are spacious and tastefully decorated with antique, family portraits and old heritage pieces of the royal family itself. 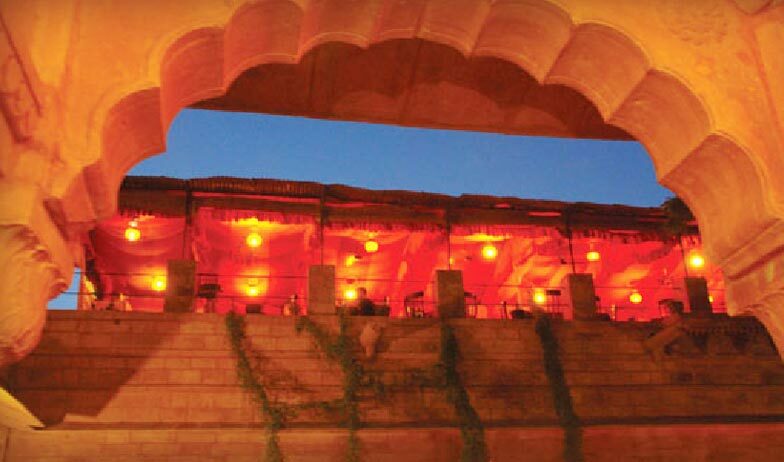 The hotel offers two suites- the Kesar Vila and the Bairisal Vila each with a stunning view of the Fort. These massive rooms have a separate sitting area, a bedroom and an en-suite bathroom with a private dressing room. The suites open up on a private terrace. 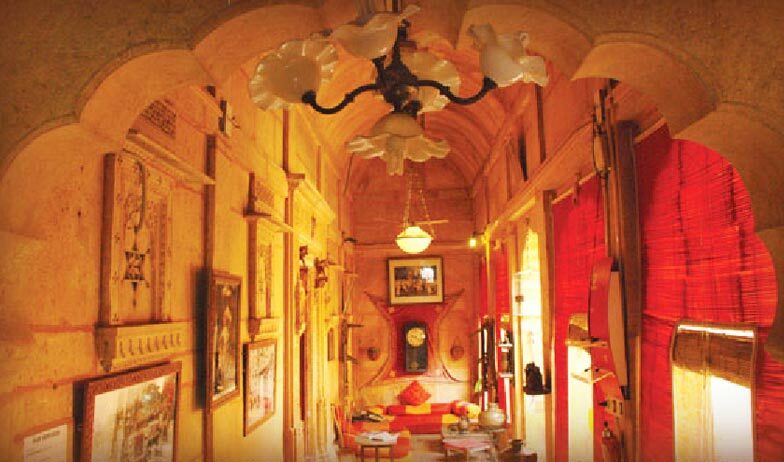 Since the rooms are decorated by Prince Vikram and Princess Divya themselves you can be sure to find a touch of royal sophistication in the décor and the ambience. 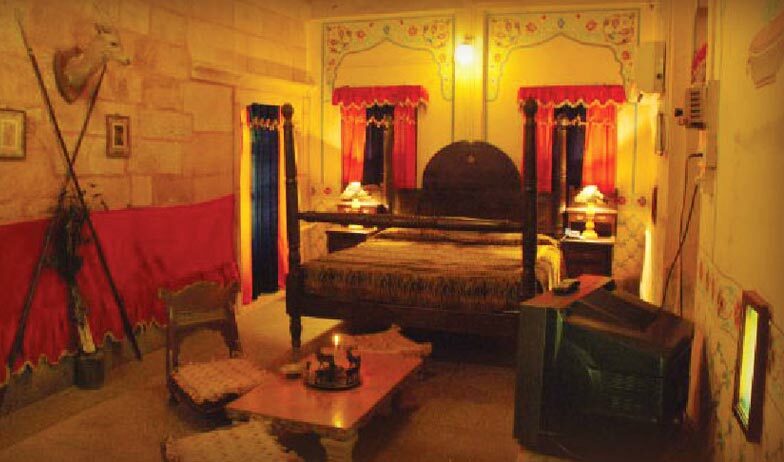 Categorized as Double-bed Rooms and Single Suites, the 14 rooms at Hotel Nachana Haveli are elegantly furnished with period furniture and ethnic decor. 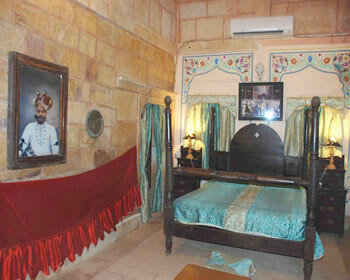 All the rooms are well appointed with basic in-room facilities.